Snow forecasts are everywhere during the winter months. Certain Facebook pages even post raw data from weather models a week out from a possible snow event. Then those posts get shared hundreds, even thousands of times, around social media. 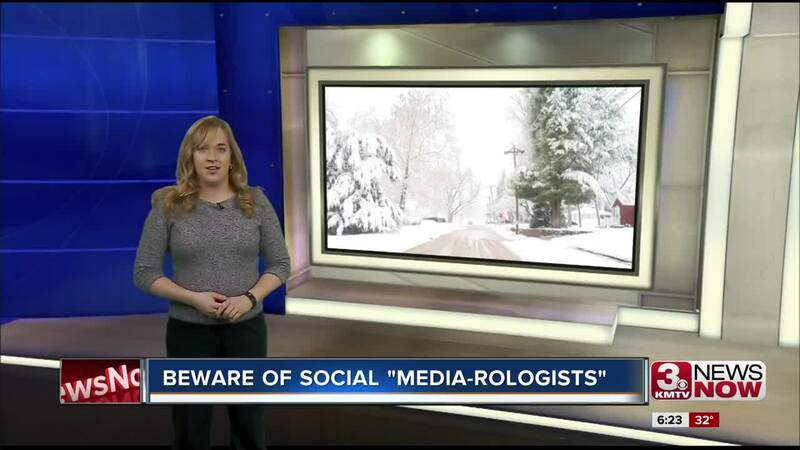 3 News Now meteorologist Ryan McPike has seen the rise of the social "media-rologist" over the years and how it impacts you. "You have to remember, a lot of people, one of the first things they do when they wake up in the morning is check their phone. And one of the first things they check other than maybe Facebook or Twitter is usually the weather," says McPike. It is likely that you will see weather on Facebook or Twitter, but is it always the best information? "So imagine when you see these social media posts of an inch, an inch and a half to 12 or 14, people are going to see 12 or 14," adds McPike. One model run, posted several days in advance, isn't a forecast. we've all see the variations in model snowfall totals even one or two days before a winter storm. "A European model who has over a foot of snow south of us, you know, for this Friday and Saturday. Well, wait until we see what this afternoon's run has. It may move that or probably decrease the amounts quite a bit, I'm thinking, or slide it south and east in conjunction," explains McPike. Social "media-rologists" share the larger snowfall total maps to grab your eye and then to get more clicks, likes, and shares and they don't care a single bit whether the information is accurate. As a rule, look for forecasts from trustworthy sources like Jennifer, Ryan, Mark or me, or the National Weather Service. You wouldn't do your banking with a guy on a street corner, so don't trust your forecast to a Facebook or Twitter post with no real name attached to it. "If you wanna know specific for your town, your neighborhood, time and amounts, I still think, you know, we're the best option for that," says McPike. With the chance of more snow coming up this weekend, make sure to check in with the 3 News Now Weather Alert Team all week, because the weather is always changing.